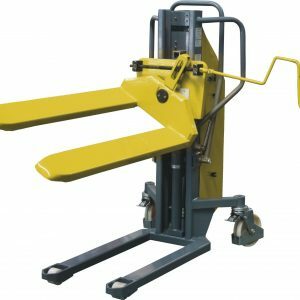 As the lifting and handling experts, we have amassed a comprehensive selection of semi-electric stacker trucks that can solve any lifting conundrums in an industrial setting. 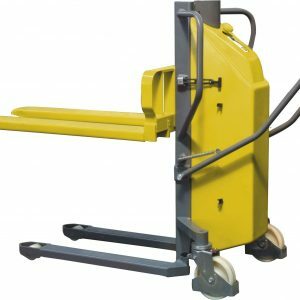 Hardwearing and robust, with a multitude of features to boost the safety and practicality of all our stackers, these trucks are certainly among the most functional and useful of all those available on the market. Prices start at around £1,900 for our most budget-friendly semi-electric stacker truck – even the most basic of trucks has a load limit of 1000kg and can stack loads up to 1.6m. Lifting heights go right up to 3m, so you can make the most of the storage space in your warehouse or distribution centre by storing upwards rather than outwards. Our semi-electric trucks are here to meet all of your stacking needs – we have tilting trucks, straddle trucks and many more options in our range, that ensure you’ll have be able to find the solution to your particular stacking conundrum. 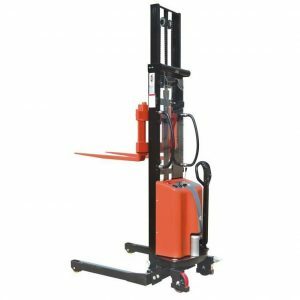 Browse the range today to find your ideal semi-electric stacker from us here at Pallet Trucks UK.